Dimming stars are part and parcel of the celestial ebb and flow. But the distant star known only as KIC 8462852 brightens right after it dims, and at regular intervals at that. Scientists have explained away such phenomenon as the handiwork of a planet-like solar power harvester called a Dyson sphere. First theorized in the 1930s, a Dyson sphere is a megastructure designed by an advanced civilization to completely engulf a star, thus harvesting its energy and sating an entire populace's exquisite power needs. 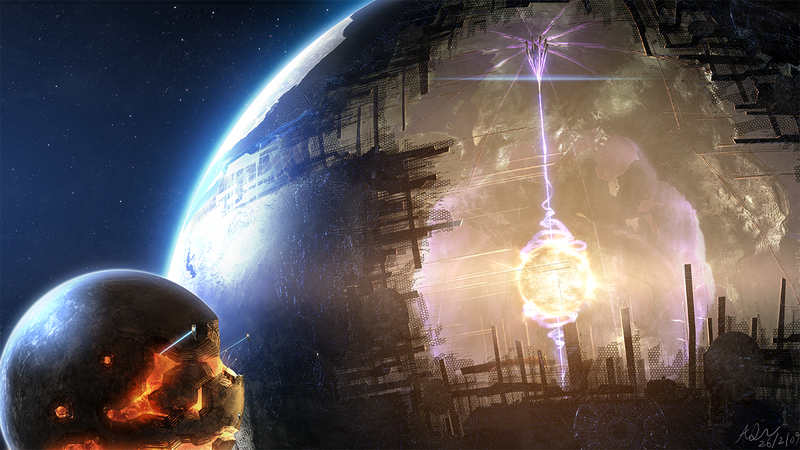 Think of it as a death star that eats stars: the Deathbringer to Stars if you may. KIC 8462852 was acting pretty weird last month, its light curve dwindling by 3 percent in a matter of a day before reverting to its normal brightness. The star in question is 1,280 light years away from earth, so we may never confirm in this lifetime if a star-eater is at work in our neighborhood.